Add up the points of each part of the test. Calculate the percentage of each part. Calculate the average score of all the parts. Convert your percentage using Cambridge’s calculator. However, simple though these steps may seem, the first thing you ought to do if you want to calculate your test score is to know your exam inside out. I mean, you need to know how many parts it’s got and how much each item is worth. For this reason, in the following sections I’m going to outline each test, with all its parts and items, and I’m going to tell you exactly how much each item is worth. Add up the points for each part separately. For example: R = 28 points; W = 15 points; L = 19 points; S = 22 points. Use this calculator to transform the percentage into the Cambridge English Scale score. On the left choose “Cambridge English: Preliminary (PET) taken before 2015”. If you introduce 76%, it will transform it into 145 points, which means I would have passed. Add up the points for each part separately. For example: R = 28 points; UoE = 15 points; W = ; L = 19 points; S = 22 points. Use this calculator to transform the percentage into the Cambridge English Scale score. On the left choose “Cambridge English: First (FCE) taken before 2015”. If you introduce 70%, it will transform it into 169 points, which means I would have passed. Add up the points for each part separately. For example: R = 30 points; UoE = 19 points; W = 32 ; L = 25 point; S = 51 points. Use this calculator to transform the percentage into the Cambridge English Scale score. On the left choose “Cambridge English: First (FCE) taken before 2015”. If you introduce 72%, it will transform it into 190 points, which means I would have passed. Soooooo, what’s up? Did you manage to calculate the score of your Cambridge Exam? If not, please write a comment below and ask whatever you need to know. I’m here to help you! And if you thought this article was useful, why not share it with other friends, colleagues, students and teachers? 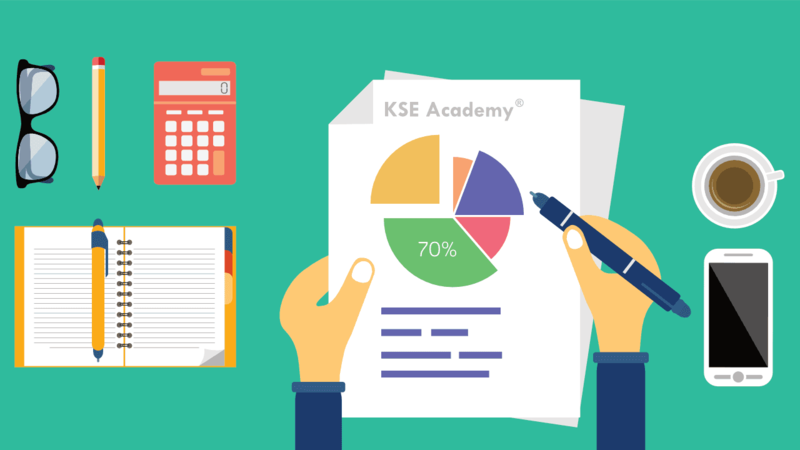 And don’t forget to follow KSE Academy on Facebook, Twitter, Pinterest, Instagram, Google+ & YouTube. La entrada How to Calculate the Score of Your Cambridge Exam aparece primero en KSE Academy | Academia de inglés.